Mark Roberts (the Irving, TX one) is making his Five Day Bible Reading Program for 2012 available free of charge this year. This is an excellent program for reading through the entire Bible in a year. For a copy of the schedule that you can print on a single sheet of paper (front and back), click here. 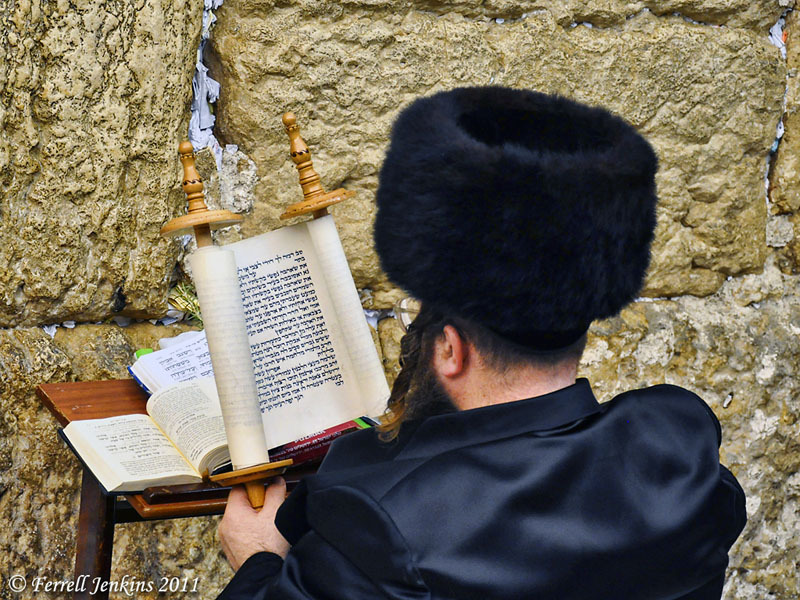 Reading the Bible at the Western Wall. Photo by Ferrell Jenkins. The Reading Program is also available for the Kindle (or iPad) this year. Details are on the page linked above. While you are in the neighborhood, take a look at some of the material at Mark’s BibleClassMaterial.com. This entry was posted in Bible Study, Israel, New Testament, Old Testament, Photography, Travel and tagged Bible, bible reading. Bookmark the permalink.